Cycling right in the heart of the city with almost no more cars. 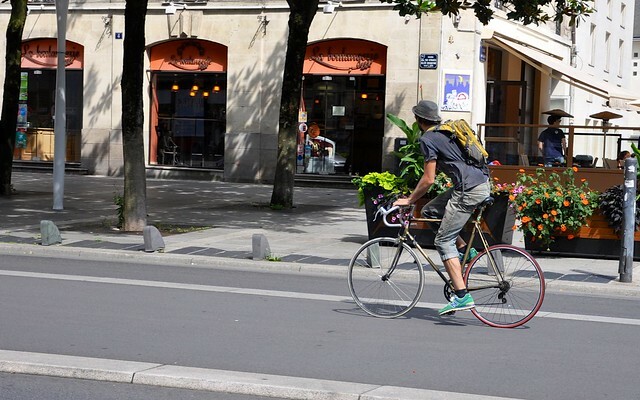 Nantes will host Vélo-City 2015 and Cycle Chic went there to photograph Citizen Cyclists. 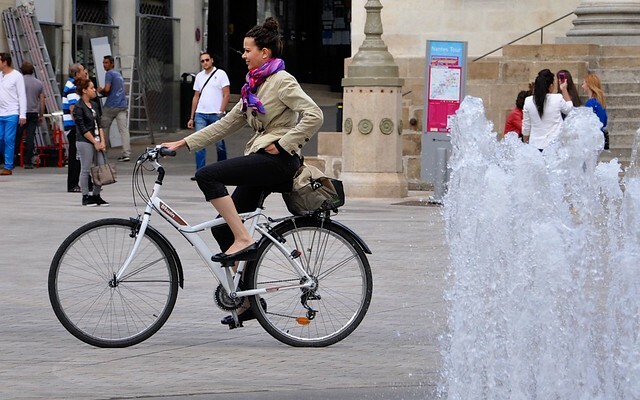 Read more about the cycling policy in Nantes on Copenhagenize.com: Nantes - A City Getting it Right. 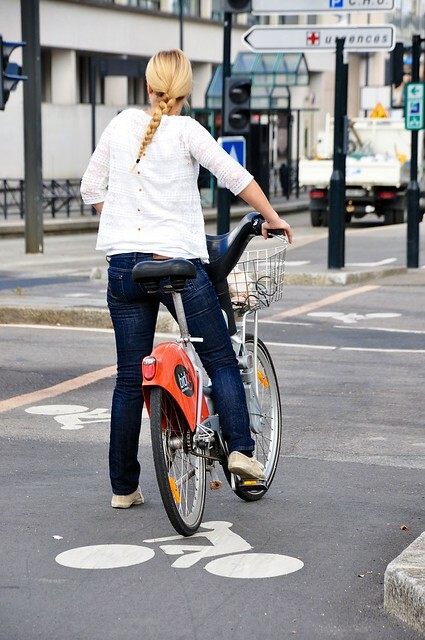 Cycling on a pedestrian street allowed to the bicycle users. Cycling on the square closed to the car traffic. 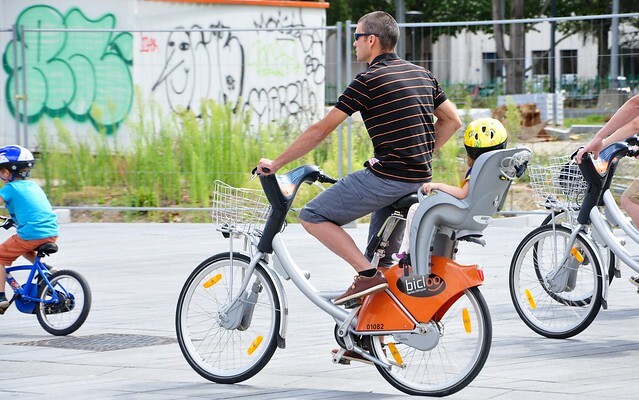 Family time on a Bicloo. Bike to work on a Bicloo.